With so much natural beauty in the region, it is no surprise that Sarasota comes with some fabulous natural tourist attractions, chief of which are the various beaches that stretch along the keys. Sarasota's top tourist attraction is the brilliant Ringling Center for the Cultural Arts, the centerpiece of which is the John and Mable Ringling Museum of Art. Kids also fare well in Sarasota, with major tourist attractions including the Mote Marine Aquarium, the Sarasota Jungle Gardens and the Children's Garden, providing amusement for all the family. 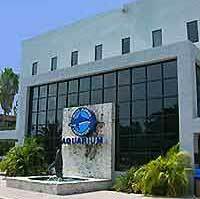 Opened at the beginning of the 1980s as a subsidiary of the Mote Marine Laboratory, the Mote Aquarium boasts a huge 135,000-gallon shark tank and many other tanks containing a whole host of exotic sea creatures from the deep. You can also visit the resident manatees, Hugh and Buffett, as well as seeing numerous sharks, dolphins, turtles, sea horses and rays. Other attractions found here include some touch tanks where you can handle guitar fish, sea urchins and many other oddities. Interesting boat trips also depart nearby. 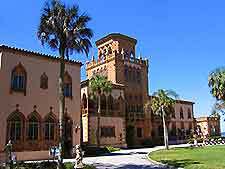 Situated along Sarasota Bay, the Ringling Center for the Cultural Arts is housed inside the grand house that circus tycoon John Ringling had built during his circus days. 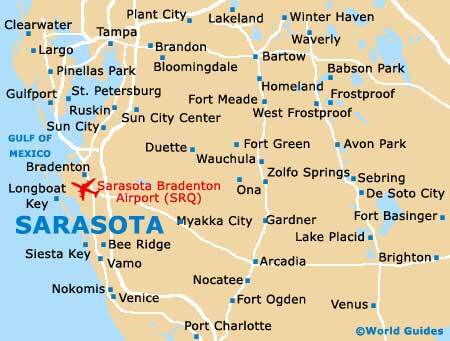 He liked this spot so much that he decided to use Sarasota as a base for him and his performers during time out. The house is in the style of the Palace of the Doges in Venice and is aptly named Cà d'Zan, meaning the 'House of John' in Venetian dialect. Further attractions situated here are the Museum of the Circus and the John and Mable Ringling Museum of Art, with its Rubens paintings and tapestries. The comprehensive Sarasota Jungle Gardens were set up in the mid-1930s and feature 10 acres / 4 hectares of lush tropical plants from the region, as well as from overseas. Rare specimens here include the Peruvian apple cactus and Australian nut tree. 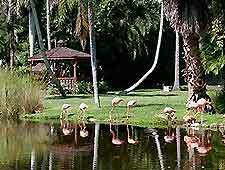 Kids will find the butterfly garden, petting zoo, playground areas and reptile and bird shows particularly interesting. Lying southwest of Sarasota proper along highway 758, Siesta Key has bags of character, with its awesome beaches, marinas and twisting canals. 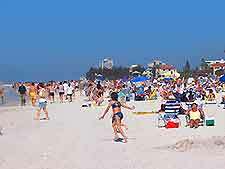 The main star of the key is Siesta Beach, a long, wide beach with easy access and great bathing opportunities. 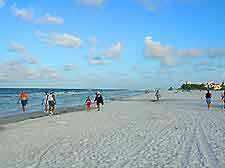 Nearby Siesta Village is loaded with shops and attractions, while the other main beach of the key is located at the southern end of Siesta Key, Turtle Beach. If you have children, The Children's Garden in Sarasota is an absolute must to visit. It is especially designed for kids and is full of fun attractions for the little ones. The yellow brick road leads to all the fun, where everything from a pirate ship to the three little pigs' house is here. Also of interest is the secret garden, a maze, fairy gardens, a dress-up room and a tree fort and slide.